The star dancer accused of masterminding the attack on the Bolshoi ballet chief acknowledged Thursday that he gave the go-ahead for the attack, but told a Moscow court that he did not order anyone to throw acid on the artistic director's face. 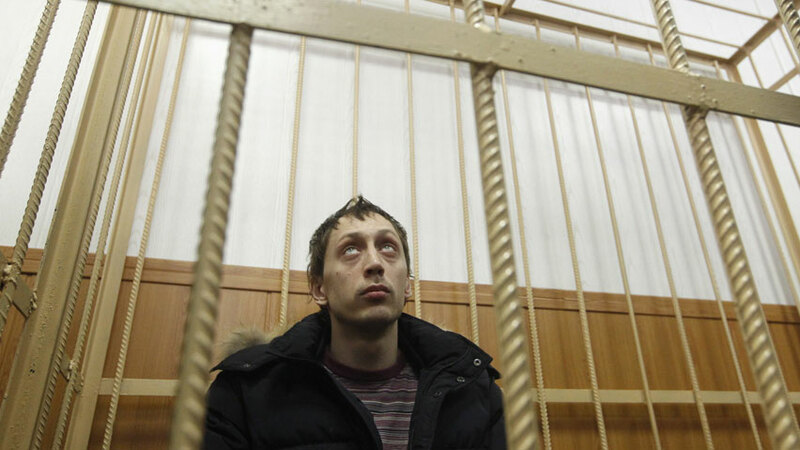 Moscow police said Thursday that Dmitrichenko had paid 50,000 rubles (about $1,600 US) to the man, Yuri Zarutsky, accused of throwing the jar of acid in the ballet chief's face as he returned home late at night. The third defendant, Andrei Lipatov, drove the getaway car, but said in video provided by police that he did not know the purpose of his mission. Dmitrichenko said he was angered by Filin's decisions on how money was allocated to dancers at the theatre. "I told Yuri Zarutsky about the policies of the Bolshoi Theater, about the bad things going on, the corruption. When he said: `OK, let me beat him up, hit him upside the head,' I agreed, but that is all that I admit to doing," he said in court. The Bolshoi's general director, Anatoly Iksanov, has accused veteran principal dancer Nikolai Tsiskaridze of inspiring the attack. Tsiskaridze, a long-time critic of the theatre's management, has denied the allegation. A string of successive artistic directors tried to bring new energy and a more modern repertoire to the Moscow theatre, only to face opposition from dancers and teachers who remained devoted to Grigorovich and his ballets.